A whopping 71% of women don't believe in anti-ageing claims. Do you? Or do you watch the adverts promising youthful skin from a miracle pot of cream and throw the last 'wonder product' at it? 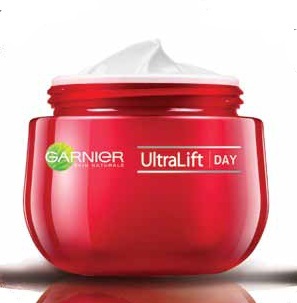 The UltraLift Challenge was such a success last year, Garnier are doing it again, but they need your help. 250,000 helpers actually! 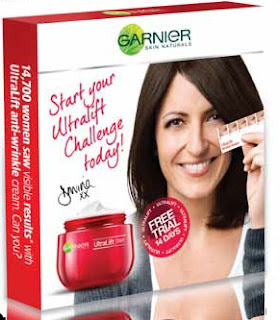 If you pop along to www.ultraliftchallenge.co.uk and sign up to the challenge you'll be given a 14 day trial pack to see if you notice a difference after using the range. They've even got a handy wrinkle reader so you chart your progress, see for yourself if you are converted into believing that the UltraLift range can help. 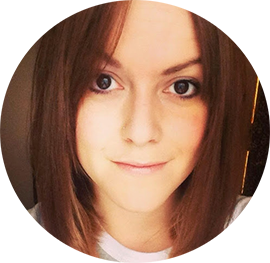 this year - with 250,000 women taking part! I've been using the UltraLift Night Cream, along with the UltraLift SPF15 Anti-Wrinkle & Anti-Age Spots Cream and have been surprised by the difference it's made to my skin. Most of you are probably thinking, 27, and needing wrinkle cream?! But I had began to see fine lines appear around my eyes so wanted to address the situation before time takes it toll. And because the day cream is SPF15 I'm protecting my skin against future nastiness. I want to grow old gracefully, not hurtle towards it screaming "nooooooooo!" You've got nothing to lose, the trial pack is completely free. Will you be signing up? Oh why the hell not? I don't want wrinkles for quite a while yet!